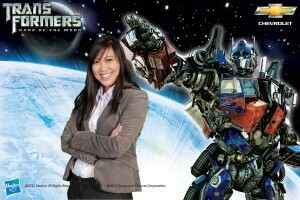 In anticipation of the release of the Transformers movie sequel, Dark of the Moon, Chevrolet wanted to offer a fun way for Toronto Auto Show visitors to interact with their favourite Transformers. 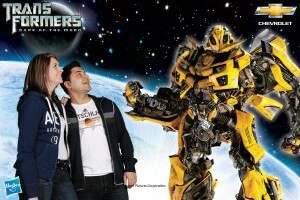 Pixperience helped create an exciting green screen photo experience that allowed guests “get in the scene” with their choice of Autobot or Decepticon (Bumblebee was a crowd favourite!). Thousands of visitors stopped by to have their picture taken. The photos were e-mailed instantly to participants and shared with tens of thousands of viewers via a branded microsite.